Country chic meets modern elegance at Valley Lodge & Spa in Magaliesburg. Our Standard, Luxury, and Superior Rooms have elegant interiors and modern amenities. These are equipped to satisfy even the most discerning of guests. Choices abound in our 76 well-appointed Magaliesburg accommodation. We offer spacious accommodation for the whole family. 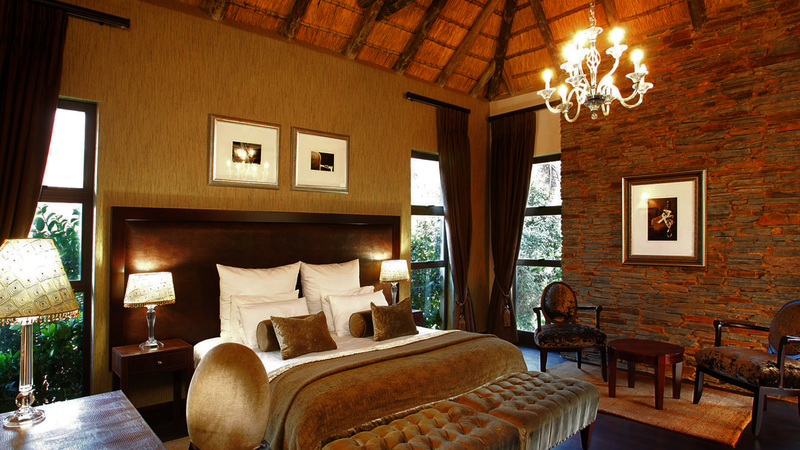 Luxury Rooms are thatched and larger than the Standard Rooms. Most are located along the riverfront, affording sweeping views of the forested river. All rooms are open plan with a lounge area and en-suite bathroom. The private veranda is also larger than that of the Standard Room terrace. Rooms are also thatched and are lavishly decorated with a more modern look and feel. They have a larger open plan lounge than the other room categories, with additional seating. The bathrooms are larger and more lavishly appointed, with a double shower and double vanity. The veranda is also larger and furnished with outdoor lounges overlooking the manicured gardens. Valley Lodge & Spa in Magaliesburg offers the best accommodation for guests who want the ultimate South African wellness getaway.